MODEL:9GLZ-4.8 Working width:4800MM. 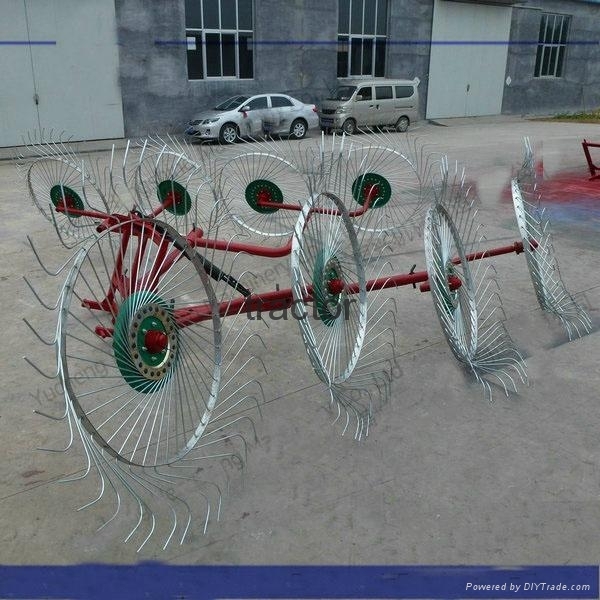 Collecting width of grass:1-1.5m Diameter of tine plate:1460mm. Nos of tine:8. Total weight:345kgs. Matched power:50-120HP.